Not only is cash flow management one of the most fundamental parts of running your small hotel – managing it successfully is the key to keeping your doors open! Cash flow problems occur when you have bills to pay, but there is a time lag in receiving payments from customers. To avoid this situation you need to manage your cash flow efficiently. How can you do this? Delay outlays of cash as long as possible, while encouraging anyone who owes you money to pay it as quickly as possible, so your small hotel doesn’t end up in debt! A good credit control system with procedures in place is essential for every small accommodation provider. It’s important to set clear payment terms on invoices that you send to your guests. To ensure payments are received on time, invoices need to be sent promptly to guests and chased up the moment they become overdue. Put your experience in running your small hotel to good use! Using the knowledge you have gained over time, revisit your pricing in relation to seasons and your competition. Also, include external factors, such as holidays or events. Then, work out when demand periods will occur. Armed with this insight, you will be able to forecast sales for each month. You will know what to expect and you will have a benchmark to track your performance against. Plus, you will be able to capitalise on peak periods and maximise revenue from room sales each month! 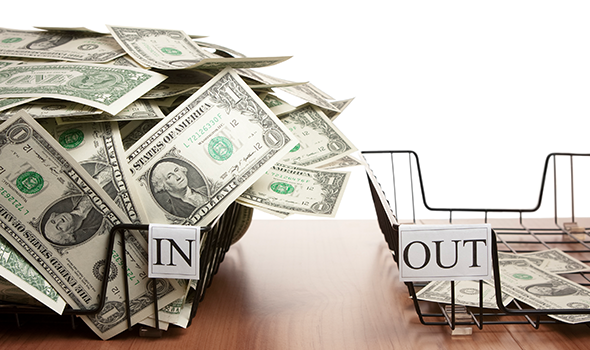 Cutting costs is the easiest and quickest way to improve your bed and breakfast’s cash flow. Put a magnifying glass on your spending and scrutinise each purchase. Be really honest with yourself and put a stop to buying goods and services that you never really use or need. Nurture the relationships you have with the suppliers you use on a regular basis. Why? Establishing a friendly rapport with your suppliers means one thing – extended payment terms. If you could extend the payment to 30 or 60 day terms, you will have a hold on your money for longer, fattening up your small hotel’s cash flow. Put the credit card away and reduce those impulse buys. Saving the money for a rainy day is much wiser than splurging on unnecessary purchases. Even when you do establish the need to make new purchases (for example, for new equipment or a renovation), strike a finance deal with suppliers over a certain period of time or consider taking out an overdraft from your bank account. Getting approved for loans these days isn’t easy. It’s important your bed and breakfast looks like an ideal loan candidate for banks – in case you may need a loan to borrow money in the future. Your small property’s books should always be up to date, with no missing figures and as transparent as possible. When you do need to borrow, make sure to always shop around for the best interest rate available on the market. A healthy cash flow means having a strong profit and minimal debt. There is not much liquid cash left over between making payments and receiving payments. You are taking extra long to pay suppliers back. Your customers are taking extra long to pay you. If you keep watch of these then it will be easier to work out ways to increase working capital before you’ve accumulated too much debt. Some hotels require payment at time of booking, while others ask for a deposit, and others charge upon checkout. While ideally the best thing for your cash flow is to require payment upon booking, you need to find the right balance of what’s fair to your guests. To clearly assess your small hotel’s financial situation, take a step back and have a look at the bigger picture. If your cash flow statement is consistently poor each period, ask yourself why. Are your rooms not priced highly enough? Do you need to adjust room rates according low periods or unpopular days? Or is there simply not enough occupancy across the board, meaning you would need to invest in strategies that raise awareness of your hotel? Are you partnering with OTAs that connect you to global travellers? Remember that many pieces of the puzzle make up a successful small hotel operation. Having a clear overview is the best way to spot and fix early cash flow issues. If you’re using an online reservation system, it should be able to report your financials back to you. If it can’t, Little Hotelier can help you with that! Little Hotelier’s all in one reservation and front desk system allows you to draw reports on almost anything, showing income and outstanding payments, and everything you may need to maintain a healthy cash flow for your small property. Why not watch a demo video to see how Little Hotelier works (you can also get your hands on a free trial).